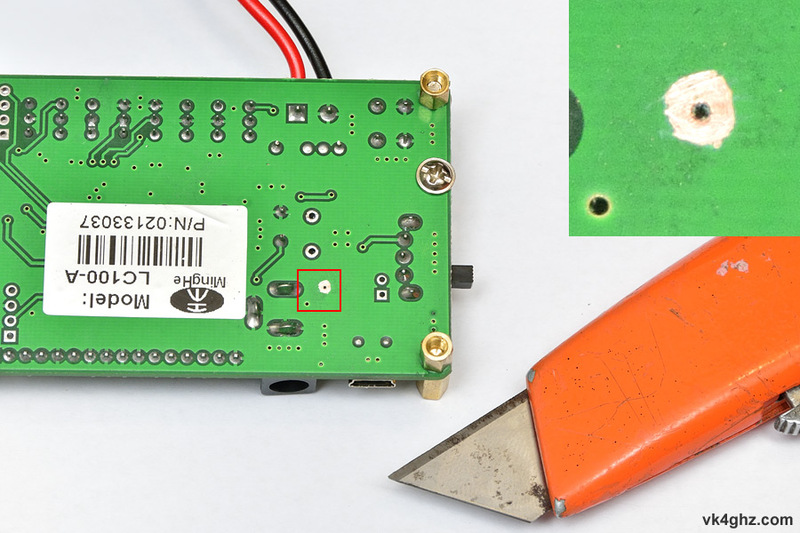 Apart from measuring regular capacitor and inductor parts, an LC100-A LC meter can be handy tool for measuring the inductance of your mini-quad motor windings, to determine if a particular motor has shorted turns or not. 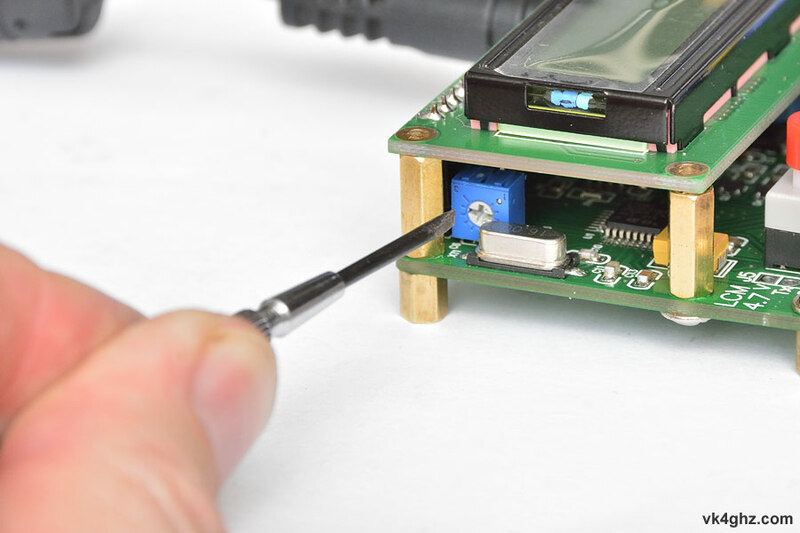 The LC100-A expects a 5V power supply, either by the USB connector or the coaxial DC socket. 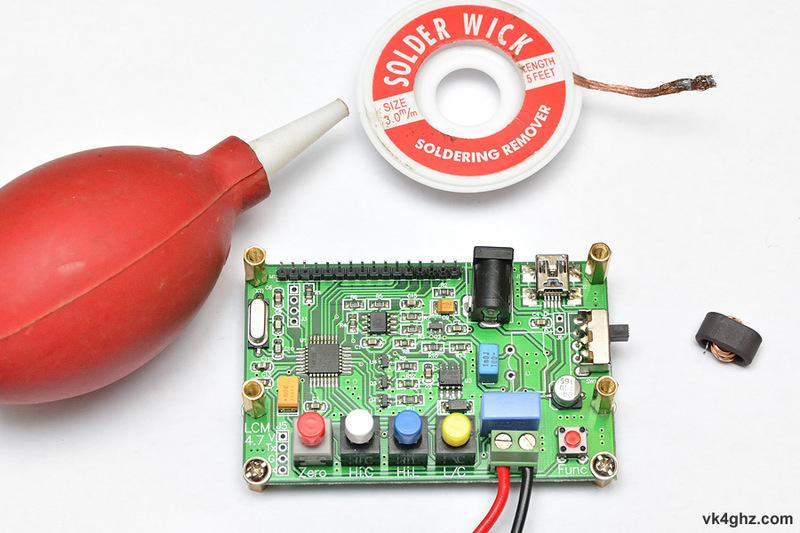 With the DC input socket, there is a risk of accidentally hooking up a supply of more than 5 volts, so a 5V regulator is being fitted, so that it can be powered off anything from 7 volts to the upper limit of the regulator (usually 35 volts). The USB input remains fully functional. 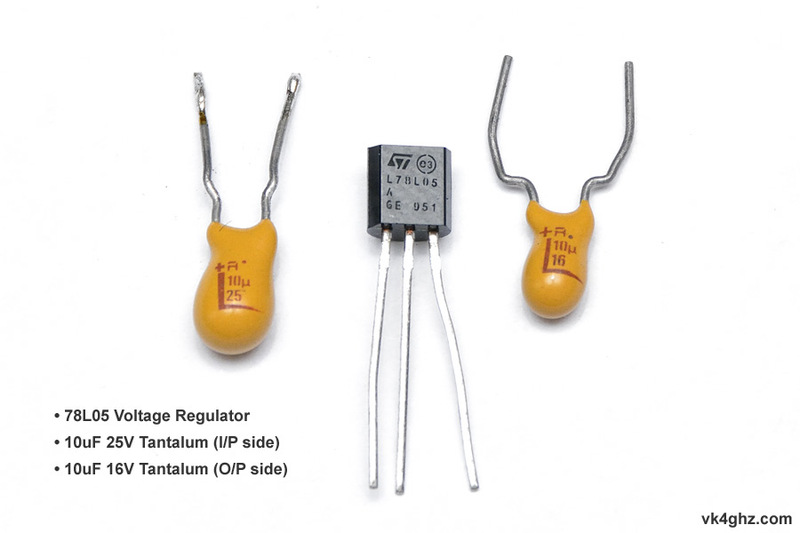 10uF 25V tantalum is soldered to the solder-side of the board – note polarity. 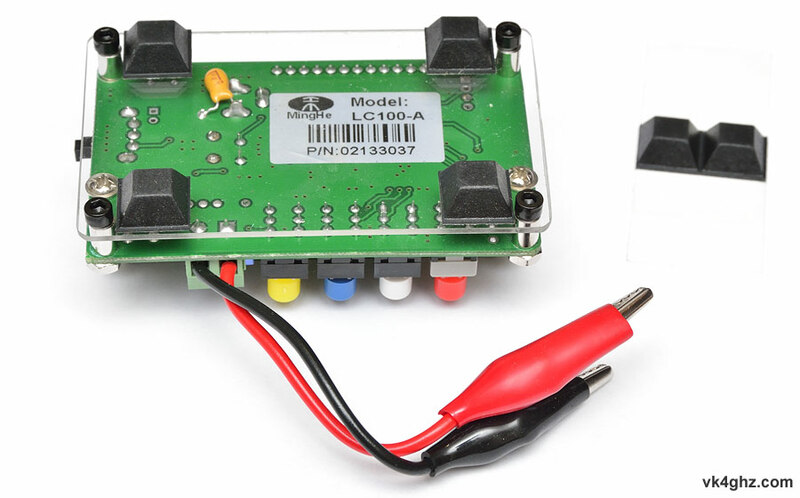 To check the regulator, set your PSU to 5V only. 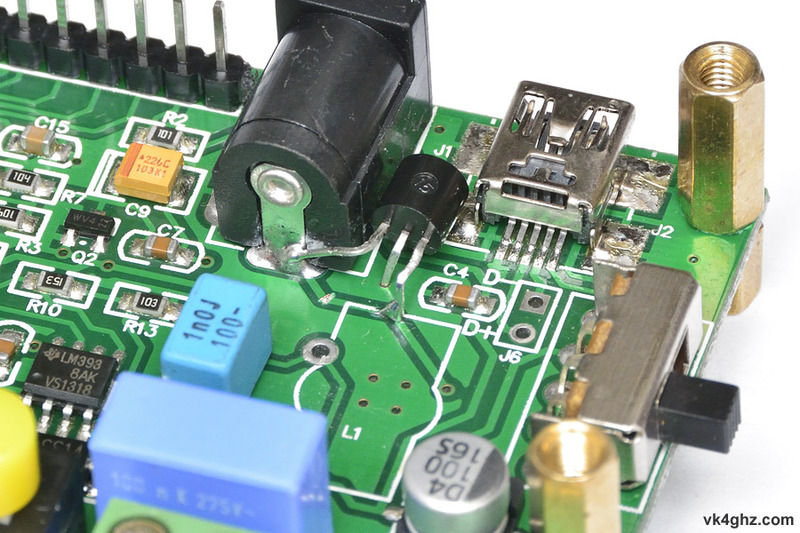 With the LC100-A’s power switch in the off position (towards you), connect the PSU up to the DC socket. 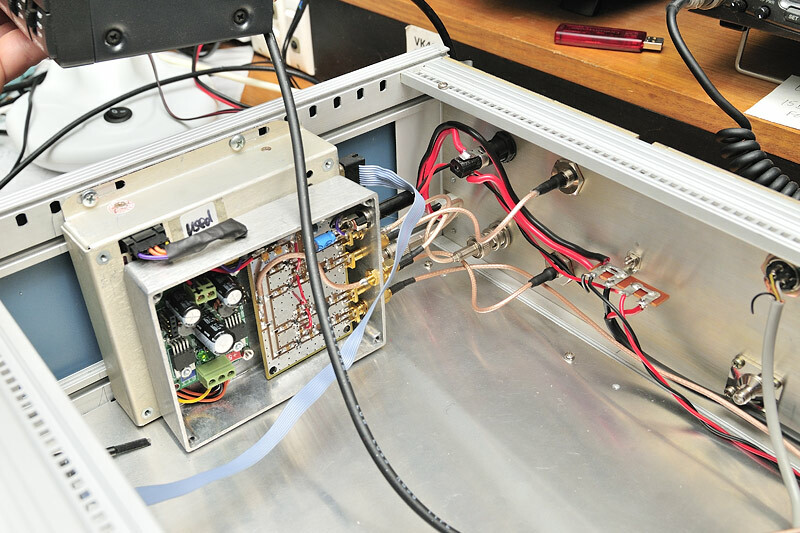 Measure the output of the 78L05. 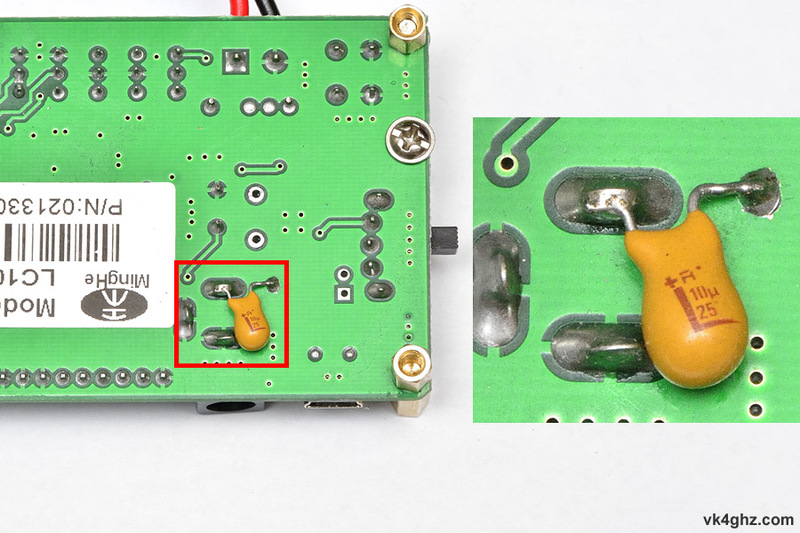 Negative multimeter lead to the side pin of the DC socket. 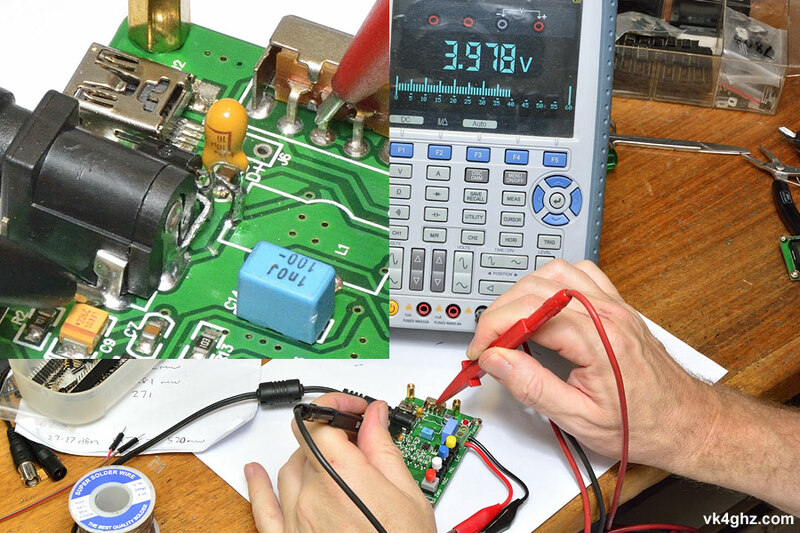 Postive multimeter lead to middle switch pin. 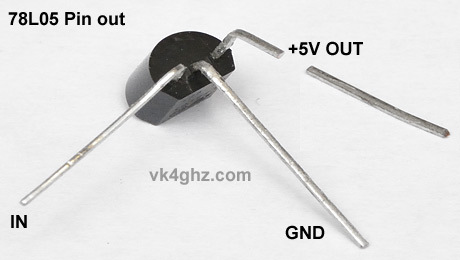 Depending on the regulator’s ‘drop out’ it should be around 3V – 4V. 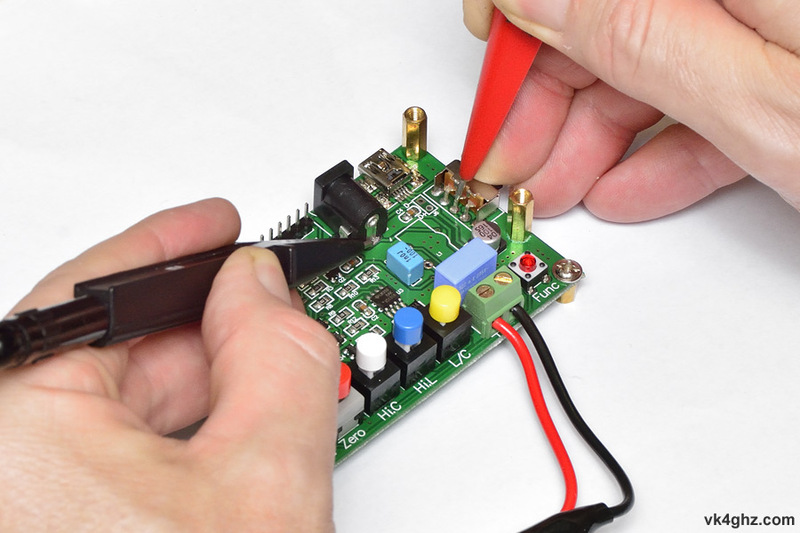 If it’s 5V, there’s a problem you need to investigate! 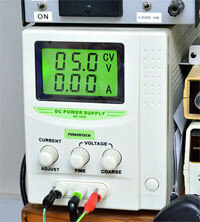 If all ok, slowly wind the PSU volts up, and you should happily see the +5V rail when the PSU is > 6.5V or so. You don’t really need to do this, but all LCDs should have a contrast control. 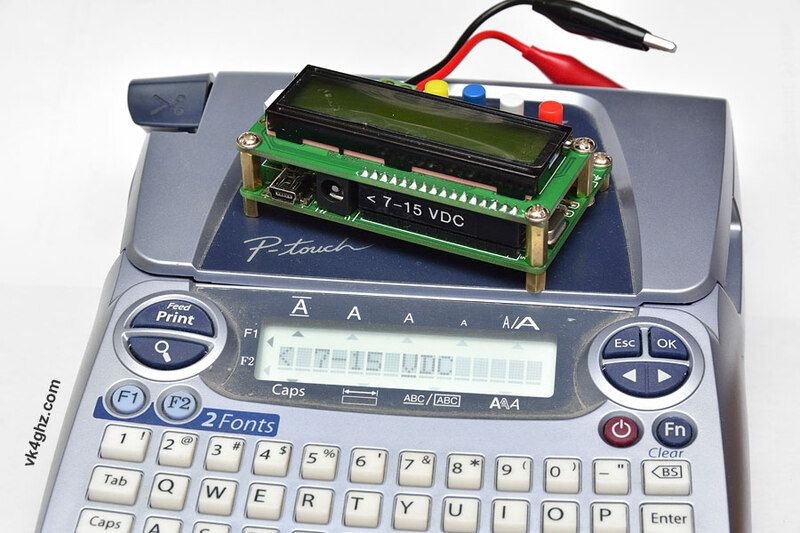 The LCD used in the LC100-A is a bog standard Hitachi HD44780 type module, so the contrast pin is pin 3. 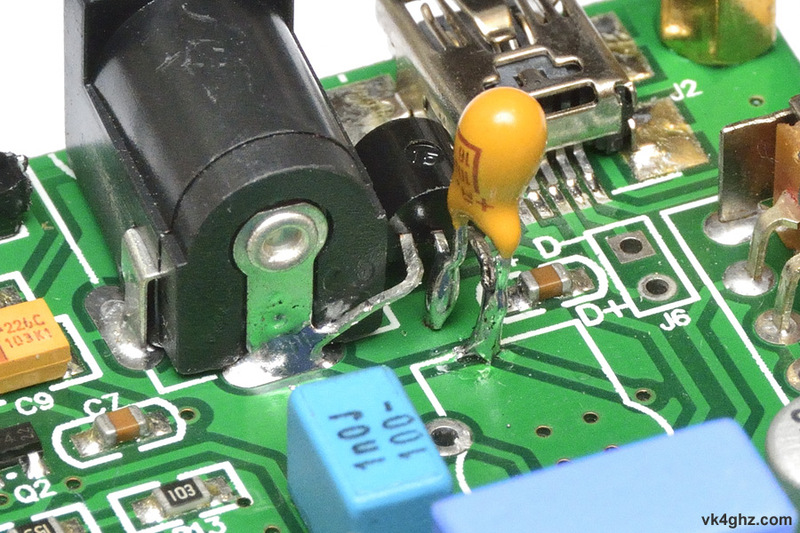 Pin 3 goes to a fixed value SMD resistor, R1, so the contrast is fixed. 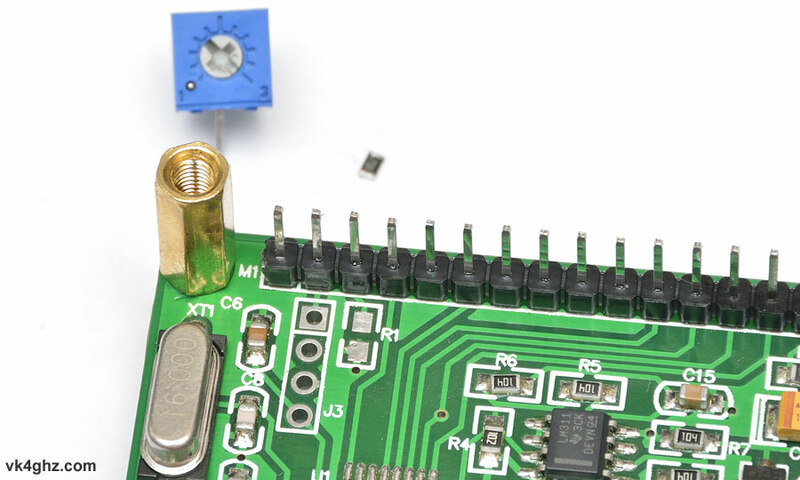 Center pin of the trimpot is extended to the R1 pad nearest the LCD header using a components leg. 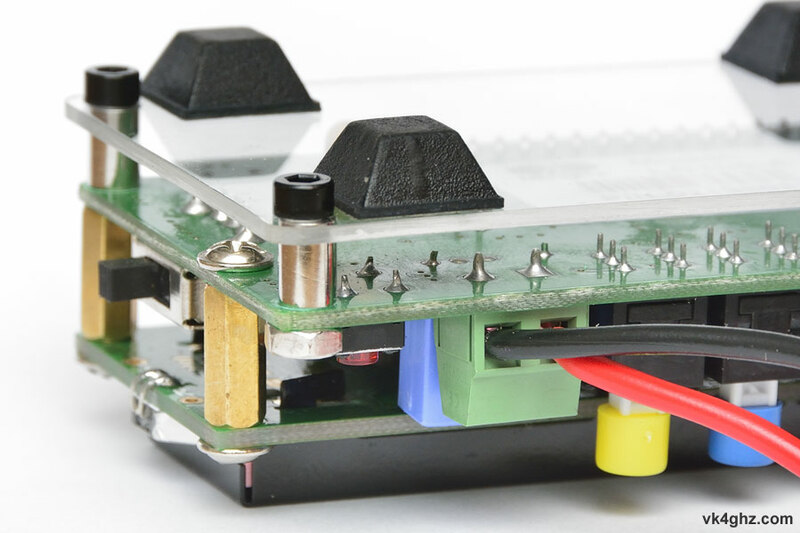 The meters finish is a bit agricultural, and the M3 spacers used as feet can scratch your desk.